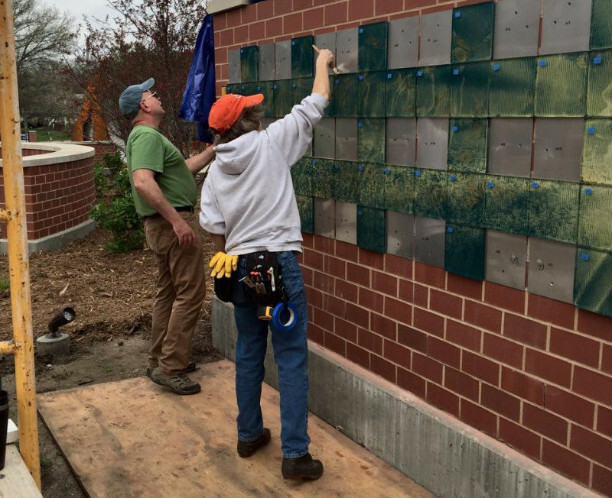 "Fly Home" the LIFETILE WALL was created by Boston artist, Rufus Butler Seder. 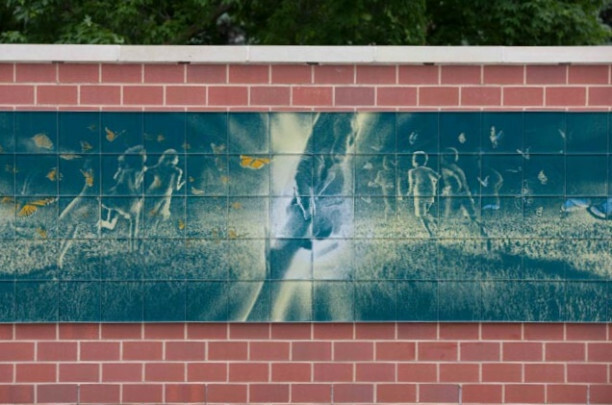 The wall, made of 8x8 glass tiles is the only LIFETILE WALL in Nebraska. 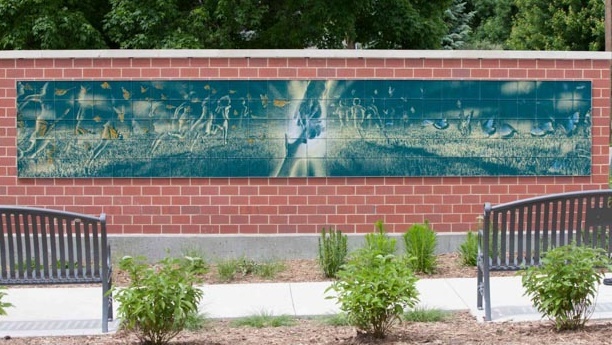 Through a special process, colors are infused into the glass tiles and produce holographic movement as the viewer walks along the pathway in front of the piece. Pictured in the wall are two children, a boy and a girl, running through a meadow as butterflies flutter with them. As they approach the middle of the wall, a large hand descends and a small hand ascends, grasping each other in a burst of light. The interpretation of the hands is left to each individual observer. The process of creating the wall was completed in Boston and it was transported and mounted by the artist and his staff. Heartfelt Incorporated was awarded the Mayors Award for Art in 2016 by the Seward County Visitors Committee.